there are ten works in this series, these were just my favorites. 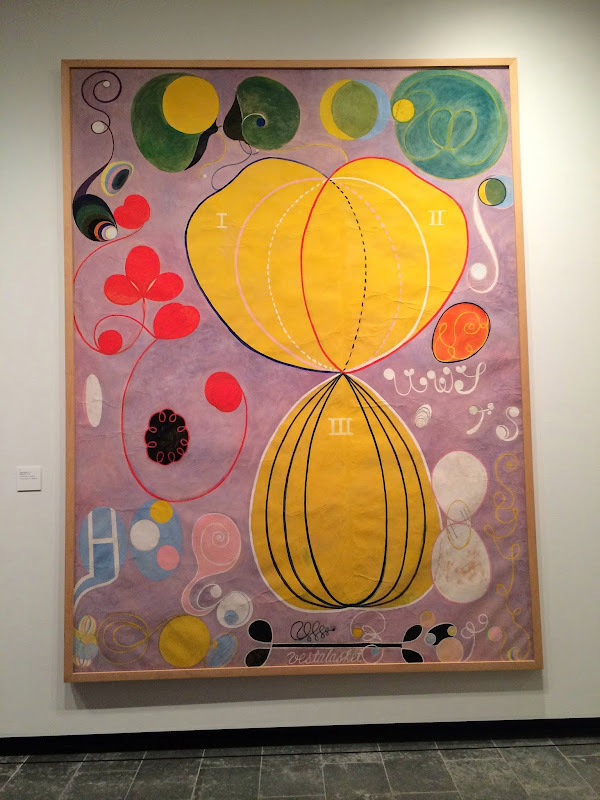 they represent the phases of life, from infancy to old age. they are enormous and dominant works. 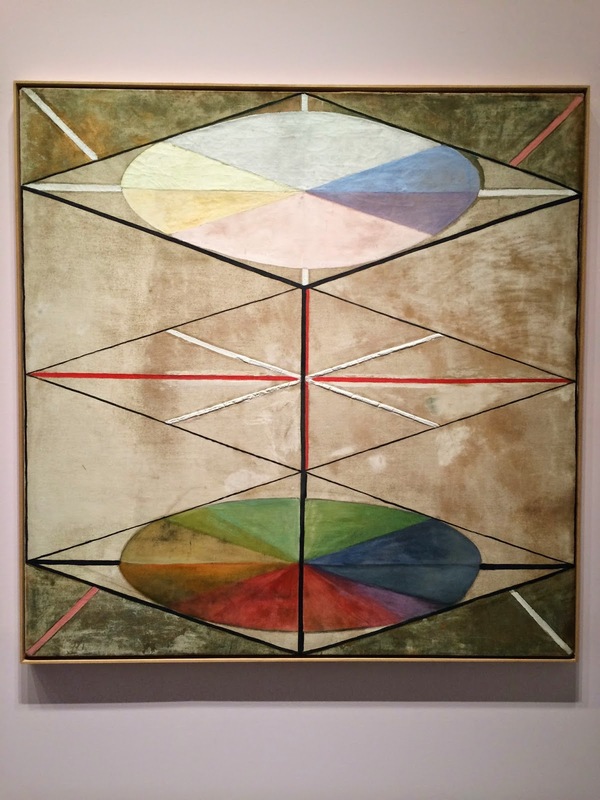 they were painted on paper using hand-mixed tempera paints. 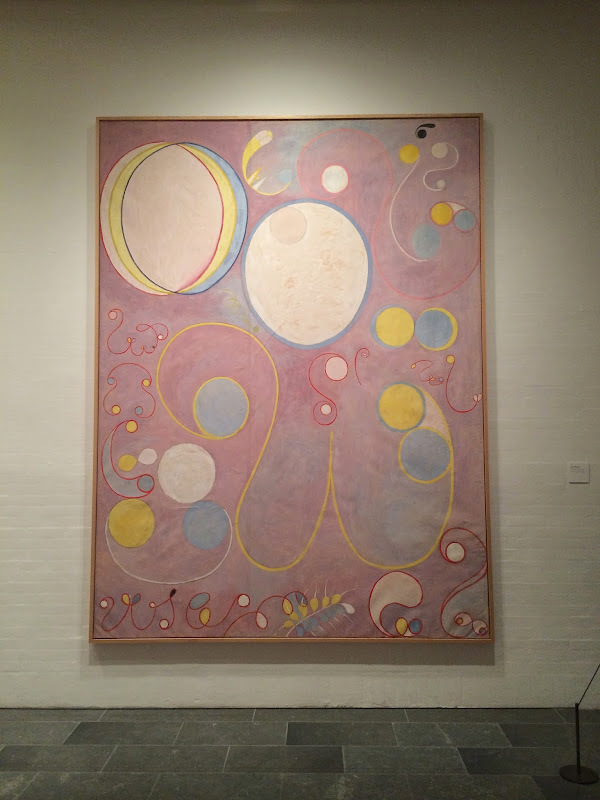 they had been rolled for years in an attic (luckily dry), since hilma af klint's will specified that the works could not be shown for 20 years after her death. 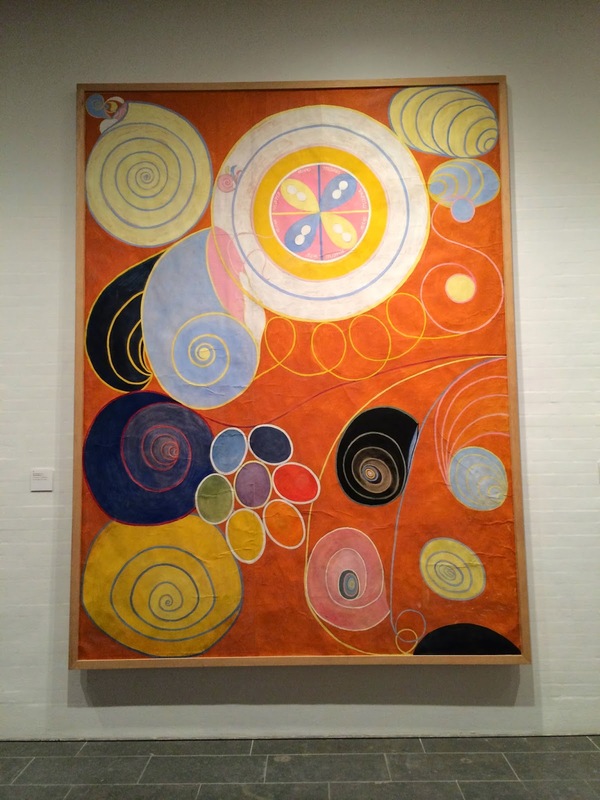 she believed she was painting the connection between the physical and inner worlds we inhabit. she believed the pictures came to her from a higher consciousness, which conveyed its message through her. 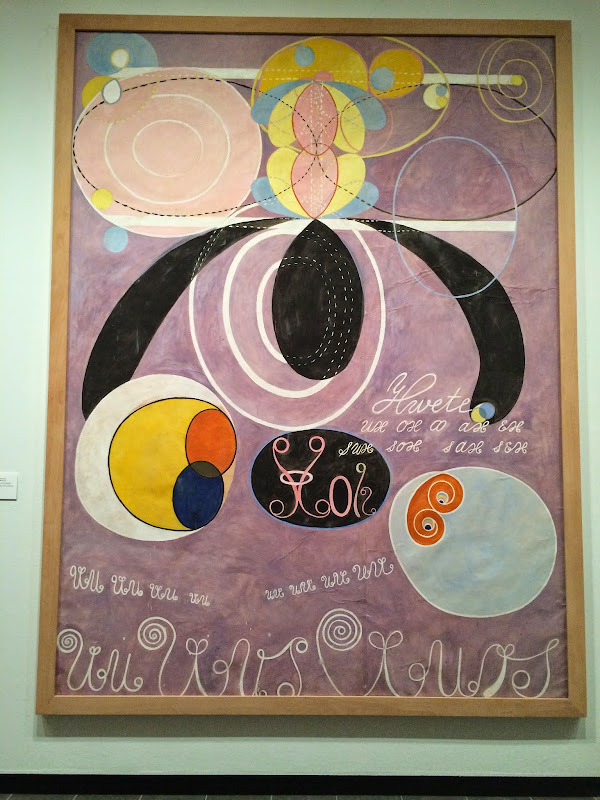 she created a whole symbolic language with which to convey these messages. it has yet to be fully decoded, despite her leaving behind extensive journals, documentation and notes. scholars are only beginning to give her work the attention it so richly deserves. 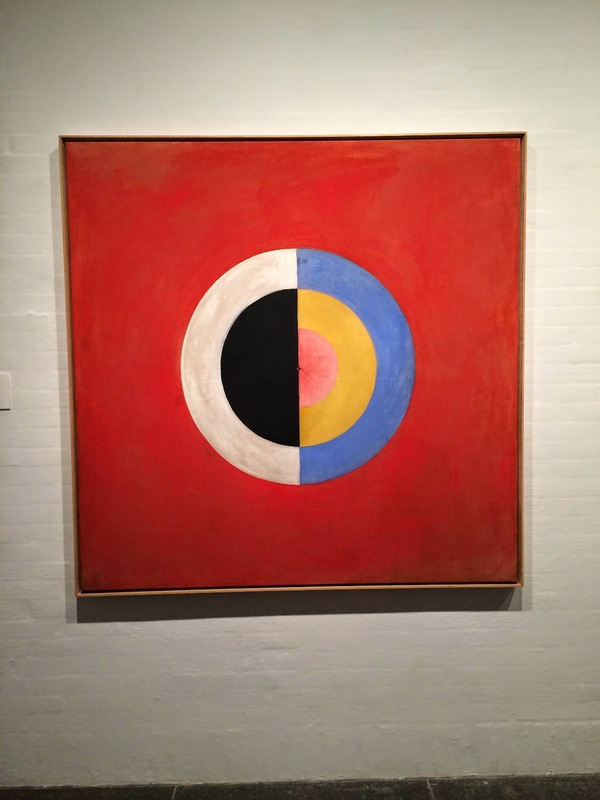 in af klint's symbolic language, blue represents the feminine and yellow the masculine. i find that quite appealing and feel it underlines how today's pink for girls and blue for boys is a more modern construct and just that, a construct, not something inherent in the colors themselves. 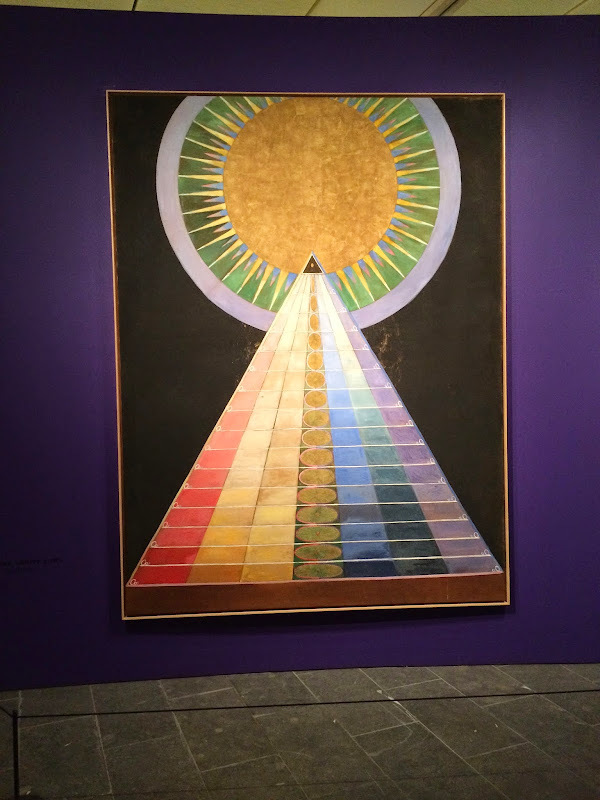 although the works try to convey a spiritual message from another plane of consciousness, they are very rigorous and quite scientific in their discipline. every color and line is laden with meaning. there are three large paintings in this series and i'm not sure why i didn't photograph the other two, as they were marvelous in the whole they presented, the three of them hanging together. it makes me want to go back, tho' there isn't much time, as the exhibition closes june 6.
i find these abstract works to be thought provoking and evocative. despite the crowds and that we were in a bit of a hurry that day, i found they triggered something deep in my solar plexis, something indefinable and which i can't yet put words to. perhaps she really did capture something of a higher consciousness and tho' i don't consciously understand what it's saying in so many words, it felt like they were actually communicating to my soul. 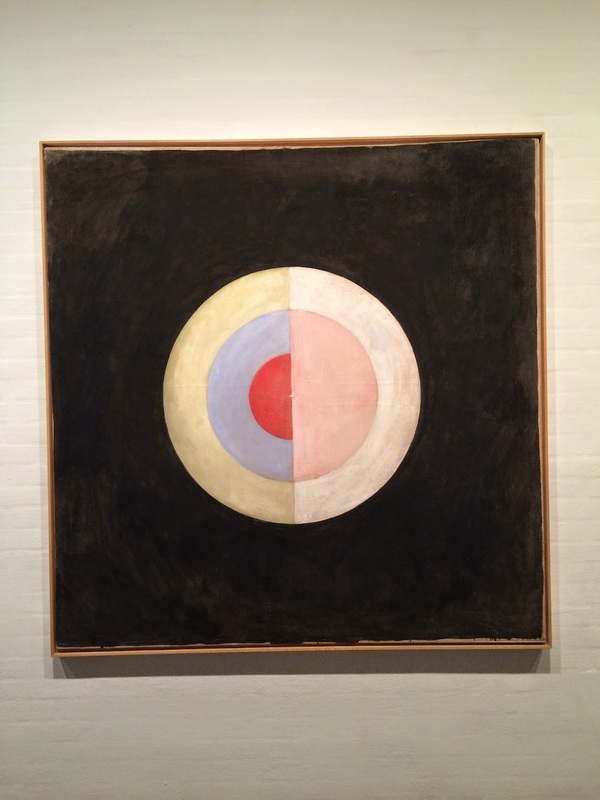 you can read more about hilma af klint here.